Welcome home to this extensively upgraded 2014 like-new build. Perfect for your year-round sanctuary or of the lock-and-leave seasonal visitor, this home is like new & barely lived in. 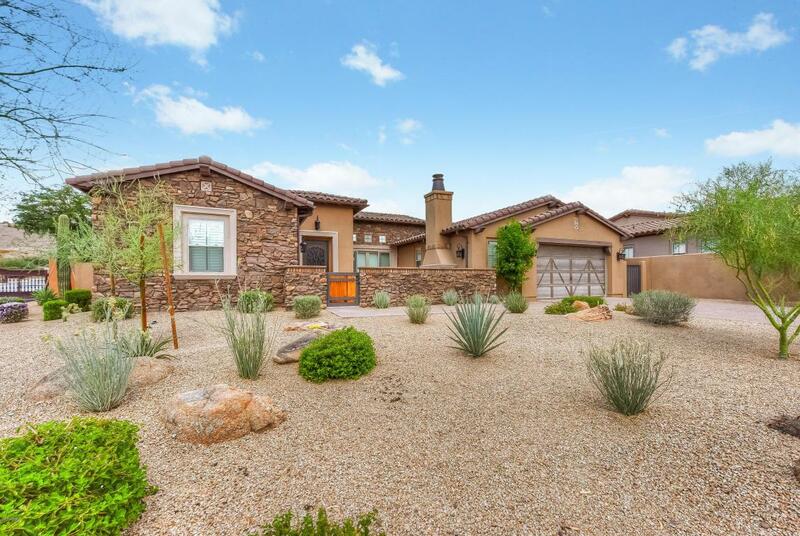 Located in the gated community of Quisana at Troon North, this energy-star rated home boasts a fabulous floor plan & completely upgraded features. 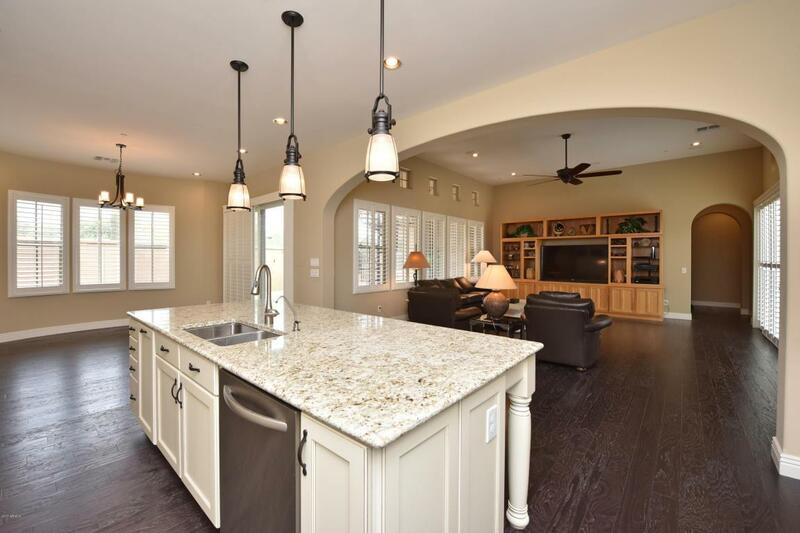 The tumbled travertine courtyard, stone entrance fireplace & views of Troon Mt are just the beginning. 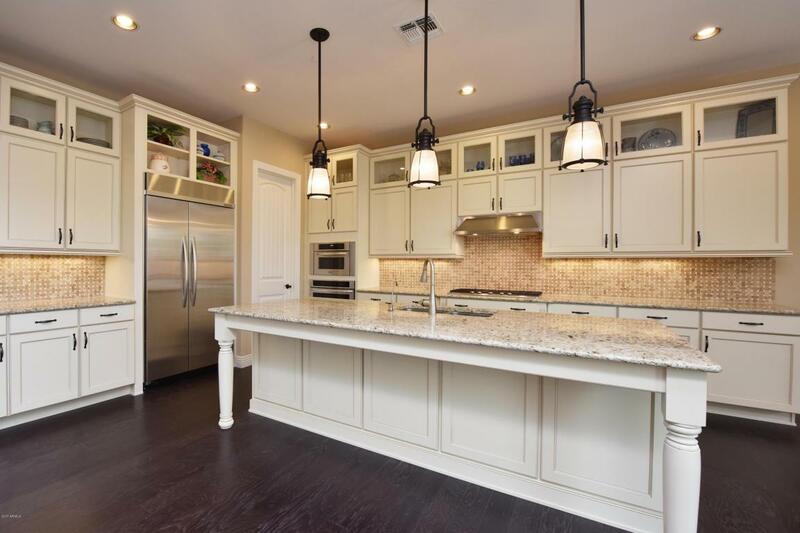 These features lead immediately to the richness within the residence, including popular details such as the gorgeous custom 8' glass & iron door, 12' ceilings in great room & halls & 10' ceilings in kitchen & beds. 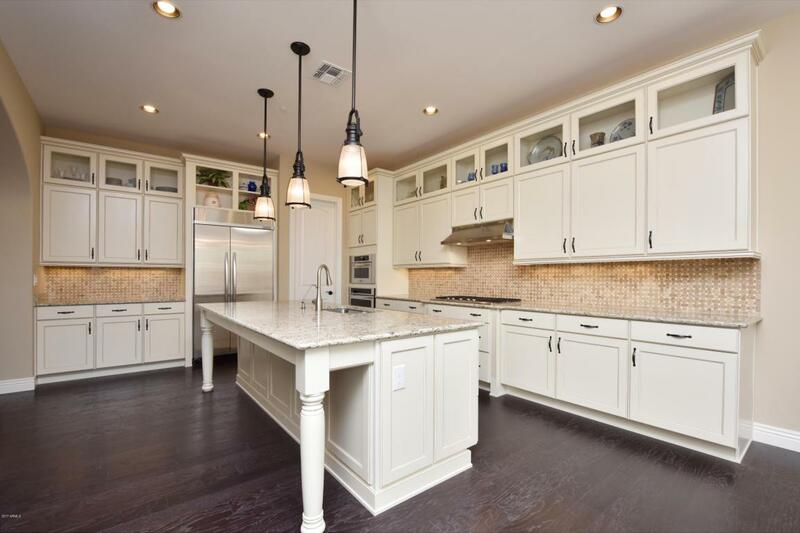 The grandness is made complete w/ the kitchen's massive granite island, basket weave tile backsplash, upgraded cabinetry, & top of the line appliancesSure to please, exquisite lantern pendant lighting warms the dining room, inviting homeowners and guests in for entertainment and shared meals. In addition to opulence throughout the main rooms in the home, the split guest ensuite and two and a half additional bathrooms are equally upgraded featuring granite countertops, bronze faucets, and powder room with vessel sink. Last but not least, the master's tray ceiling is gorgeous, with private spa-like bathroom complete with soaking tub and no-step shower.